Live has just been updated to 3.0.2. Though information still isn't precise, power gain is on the list. Maybe an Altivec optimisation ??? Multi Delay is a Multi Channel Filter Delay VST & AudioUnit Plugin, featuring up to 10 individual Channels with a Delay and a Filter (Lowpass, Highpass and Bandpass Filter) . Every parameter can be modulated by a LFO or by steps (in sync with the host app). MultiDelay 0.0.3 beta version Post a comment ? 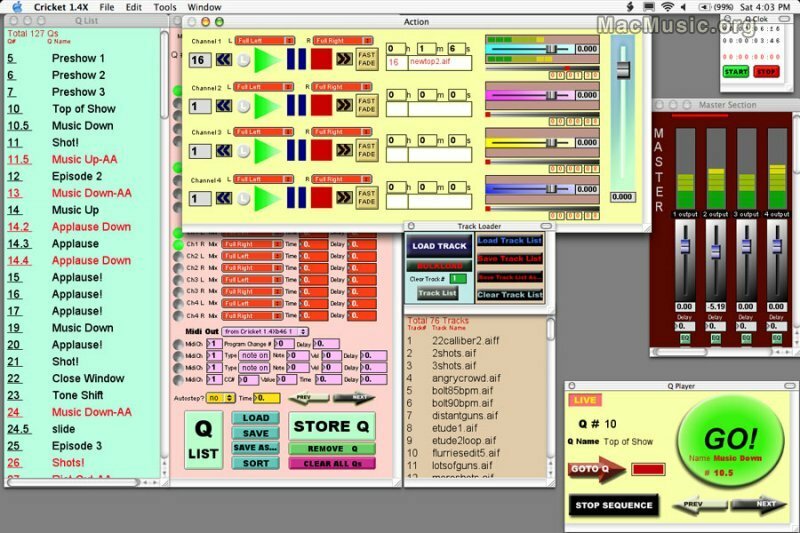 Cricket by Soundcrack is a live playback and theater sound design software for Mac OS X.2 or greater. Cricket comes with 4 separate track players and can handle 4 stereo files simultaneously. The software supports all common types of sound files with any bit depth. This easy to use software costs 150 euros for the downloadable version. Cricket Post a comment ? 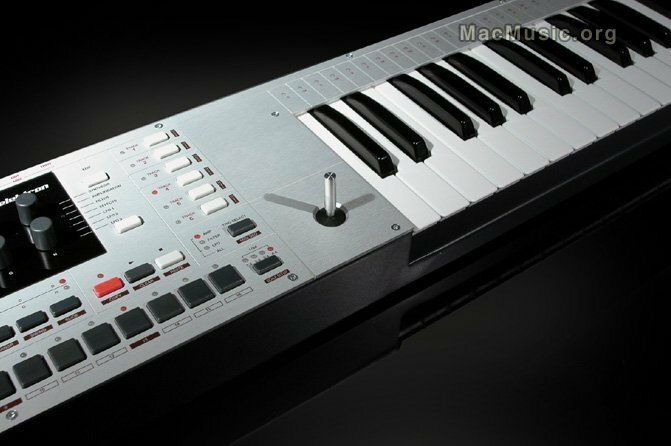 The swedish music manufacturer Elektron announces his new keyboard, the Monomachine, wich comes in two models, the SFX-6 (keyboard) and the SFX-60 (desktop version). Monomachine comes with a 6 tracks sequencer (synthesis and effects) + 18 free LFO, 6 delays, an arpregiator and a multidirectional joystick on the SFX-6 version. The keyboard version costs 1950 euros and the desktop version costs 1350 euros. Monomachine Post a comment ?